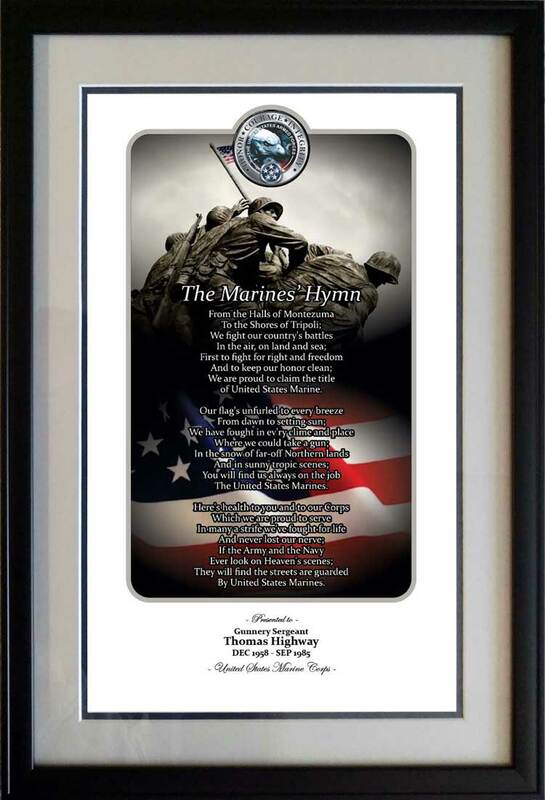 Our goal is to create unique, personalized framed prints to honor veterans and give back money to your veteran organizations. At Honor, Courage, Integrity, we want to find more ways to honor veterans and provide monetary support for veteran organizations. Our custom personalized framed prints can also be used for unique gifts to honor veterans. To honor your veteran organization, we will work with you and 10% of all sales that month will be donated to the veteran organzation. We will provide the linkable images to be placed on your website and social media sites. We will help to promote the site to raise the maximum amount of funds for your veteran organization. Please contact us to learn more about raising additional funds for your veteran group with our unique veteran gift ideas.